Two women police interviewed — and let go — shortly after the homicide of a 62-year-old Cheyenne River Sioux spiritual leader nearly 10 years ago have been charged in his death. Victoria Bigcrow Clown, 29, was booked into the Salt Lake County jail Nov. 17. Jerah Jean Whipple Santos-Ramirez, 28, was booked there a week later, according to jail records. Investigators had interviewed the sisters after they found Lester Lloyd Janise’s body, strangled with belts, at his Midvale apartment Jan. 13, 2009. Police sought the pair after learning Janise’s missing minivan was at the two women’s home in South Dakota, according to a probable cause statement. Janise had previously dated the sisters’ mother and had been in and out of their lives throughout their childhoods. Police learned of Janise’s death after an apartment manager at his Midvale apartment, at 7895 S. Candlestick Lane (80 East), reported Janise hadn’t picked up newspapers outside his home in a while, according to the statement. Police found him and concluded he had been dead since late December 2008. The most recent newspaper in the man’s home was dated Dec. 28, 2008, Salt Lake County District Attorney Sim Gill said at a Tuesday news conference. In addition to the van, other “valuable items” were missing from his apartment. Police first spoke to Clown on Jan. 21, 2009. She told police that she and Santos-Ramirez and the pair’s children had gone to Janise’s apartment from South Dakota after the funeral of Janise’s brother in December. Clown reportedly said that Janise had given her and Santos-Ramirez permission to take his van back to South Dakota. They left Salt Lake County on Christmas, she said, and Janise was alive when they left. Santos-Ramirez “provided a nearly identical account” when they interviewed her, according to the probable cause statement, and the case went cold. Authorities say the story changed Oct. 26, 2018, when police reinterviewed Clown. Unified Police Detective Ben Pender said over the course of the four-hour interview, he could see the homicide had been “weighing on her.” He said after he showed her a picture of Janise, Clown told him what really happened. Clown said the two women and their children were staying with Janise, and that Santos-Ramirez had left her children there for four days before Dec. 28, 2008. When she returned, Santos-Ramirez and Janise argued for more than an hour about the abandonment, according to the probable cause statement. That’s when Clown said that Santos-Ramirez decided she needed to leave and devised a plan to knock out Janise and take his van, court papers say. But Clown said Santos-Ramirez feared he would call police when he woke up. Shortly after that conversation, Clown said she heard “scuffling and fighting” in the living room. Santos-Ramirez then walked into Clown’s bedroom and told her they needed to leave. When the two left with their children, Clown told police that Santos-Ramirez said she hoped Janise was only passed out but that she “didn’t think so.” Clown told police Janise was lying on the side of the sofa when they left. Unified Police reopened the homicide case in 2014 after receiving “new information," Pender said. In the four years between then and this month’s arrests, Pender said detectives interviewed additional sources (he declined to name them, as well as how they were related to the case, because of the pending prosecution) and had sent previously untested evidence for forensic evaluation. While Pender said he is unsure if every detail of Clown’s story — particularly her alleged involvement in the homicide — is true, he said he believes most of it. Janise was a Vietnam War Army veteran who was awarded a Purple Heart after nearly dying when a land mine exploded, Pender said. Janise told family members he was so injured, his fellow soldiers thought he was dead and were zipping him into a body bag when he moved his foot to show he was still alive. After returning to the United States, he spent the rest of his life traveling. 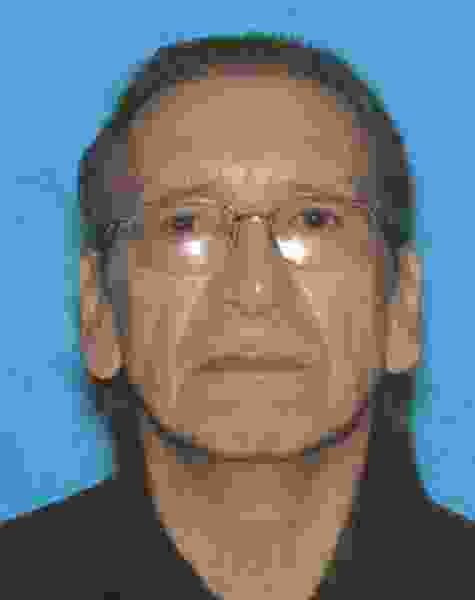 He was a member of a Cheyenne River Sioux tribe, and police have described him as a spiritual leader. Both women are charged with first-degree felony counts of murder and aggravated robbery, as well as a second-degree felony count of obstructing justice.